Girl Scout Gold « Girl Scouts of Gulfcoast Florida, Inc. Girl Scouts of Gulfcoast Florida recently hosted the inaugural “Reaching for the Gold” weekend at Camp Honi Hanta. The program, organized by Manager of Community Troops and Outreach Eboni Curry, was designed around the GIRLtopia and BLISS Live it! Give it! Journeys. The goal: inspire girls to explore the possibilities for completing the Girl Scout Gold Award, which represents the highest achievement in Girl Scouting. 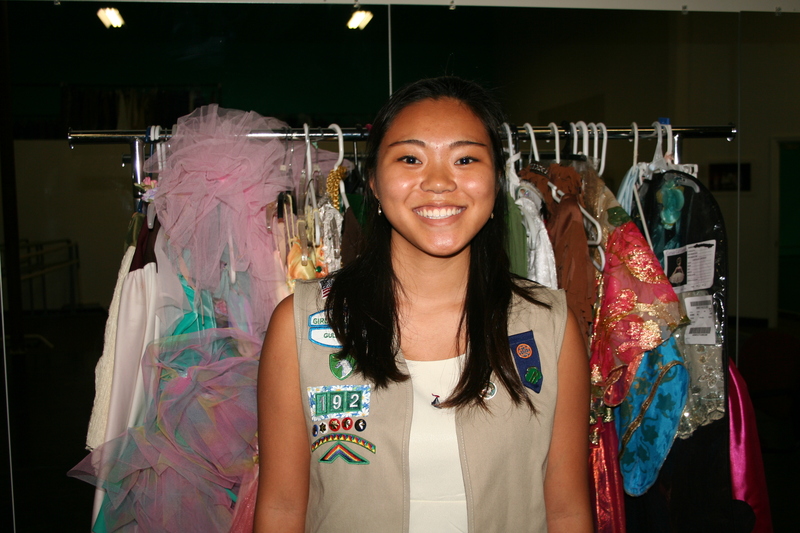 The small group of eight participants consisted of both new and existing Girl Scouts, ranging in age from 14 – 17. Some were excited about the experience. Others were a little skeptical. Dimi is a perfect example. A junior at Booker High School, Dimi participated in Reaching for the Gold because her school guidance counselor thought it would be an excellent opportunity for her. 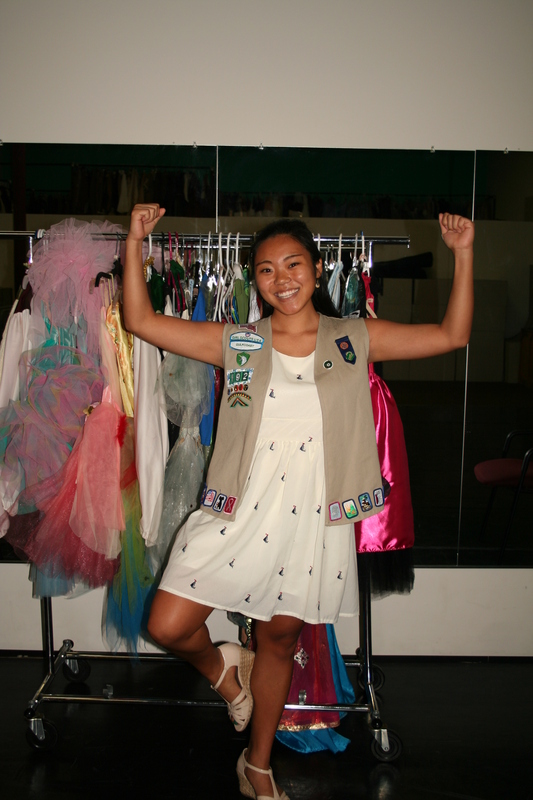 It was Dimi’s first experience with Girl Scouts, and she was unsure what to expect. As a result of her injury, Dimi arrived at camp with a bulky brace on her leg. As she hobbled into the Manatee House, she was surprised to discover she already knew all of the other girls. Dimi was not able to participate in the canoeing activity, but she stood by to encourage the other girls as they entered the river. 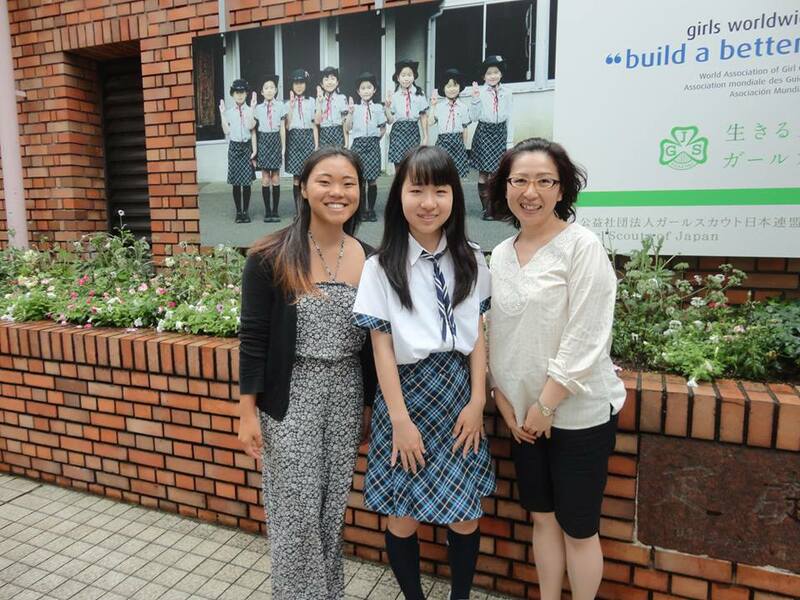 She contributed to all of the other activities with remarkably insightful responses and demonstrated leadership qualities as she inspired other girls to share their thoughts and ideas. The result? Dimi is now inspired to work on her Gold Award. She wants to focus on homelessness in Sarasota, which has been a perennial and controversial topic within the community. “I really appreciate Ms. Eboni and her team for putting together the weekend and for giving us young girls the opportunity. 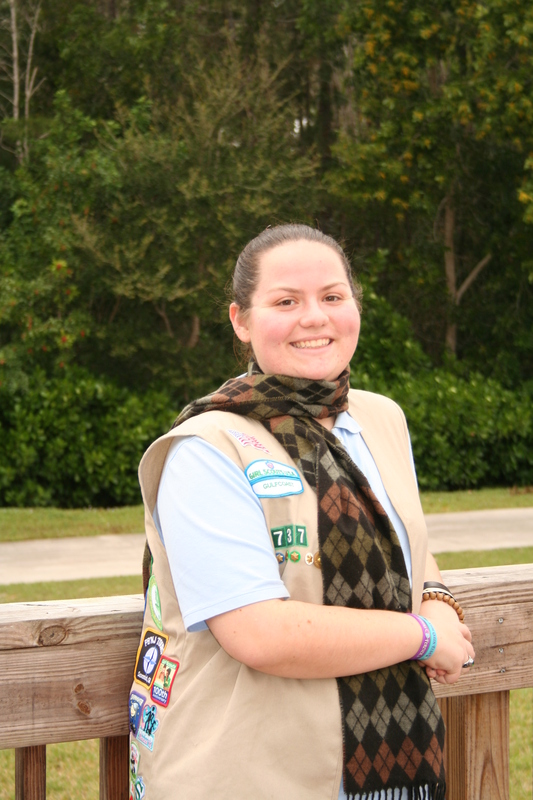 It helped me in a way that I can’t explain.” And that is what Girl Scouting is all about.